ME: I have Ohio St. on upstairs and LSU downstairs. Dad: That’s not what I asked. Where are you now? Me: Dad, I really wanted to watch this game. Dad: What is the score, Elizabeth? Me: I ‘ll just stick with not good. Dad: I’ll just suggest you go downstairs. Me: How am I the jinx? Dad: Do you remember the Michigan-Ohio St game you watch? Me: Dad that was years ago. Dad: Who’s winning right now? Me: I’ll change the channel. ME: Yeah, yeah, yeah I won’t peak. Dad: I will keep you posted by text. No need to thank me for your win tonight. Just thank my dad when he quits laughing because it appears he is right. Okay folks, it’s been awhile since I have even made a smidgen of an attempt to write. So before going forward I want to quote a friend of mine from twitter who says “apologize for nothing” (Hat tip to you Ken!) so I won’t. A better question might be what brought me back? Aha! Well, there are times in all of our lives where we just don’t have enough time or energy for anything. Buuuuuuuuttttt when we do…..I’ll just let you decide. Back in the 60’s my dad was a prolific poet. The first poem I read was And The Lord Created the Middle Class. I was about six when I read it and I am pretty sure the understanding of my six-year-old self was limited to Barbie dolls, making gooey cakes in an Easy Bake Oven, my baseball mitt, football trading cards and a stuff bear named Mouse (didn’t everybody have a stuffed bear named Mouse?). I have often thought of that poem from time to time. One because I have a memory that doesn’t let me forget things I have read and two, partly because I was curious to see if indeed anything has changed. So I asked him about it tonight. Dad was thrilled when I mentioned it and I could hear the years melt away from his voice. However, he wasn’t exactly sure where he stashed it. Hopefully, he will be able to find it! It’s not like he had a hard drive back then like all of you digital natives do now. It is I will bet, stashed in a notebook somewhere in the Pepoy domain. In his cherished poem he talks about in iambic pentameter the creation of the Middle Class and the responsibilities bestowed upon it. This has nothing to do with what side of the aisle politically this class is on, but just how much this group strives to move up and how much of America is paid for by them. What reasons drove me to ask Dad about it? Like most things in my life that inspire me to write, I was having a conversation this week with a few friends and they asked me what I thought about the government shutdown. Snickering, I said “Ya know, my income keeps the government going and since they’re not working I’m thinking why should I pay for nothing?” My friends looked at me strangely. Feeling like a comedian in room full of crickets I continued. Suddenly the 100 watt light bulb made a miraculous returned for only a moment as my friends realized what I was saying. Folks, they have a responsibility to us not the other way around. While the powers-to-be on the Hill want to act like 2 year olds in a room full of toys whom are fixated on just one toy and having a game of tug of war, then we have to take the role of the teacher and simply take the toy away. Our tax dollars are the toy and its time to take it away. What is really funny to me to is this presents like taxation without representation. They’re taxing but name one member of congress who is representing right now? I am not decreeing anarchy or to start a revolution. I just want the arrogance of their ignorance to stop and work for the American people. It’s just common sense. If you know me then you are well aware there is a football reference in here somewhere. I will not disappoint. My boyz in Cleveland have won three in a row– all while losing their starting quarterback; a hometown boy of Cleveland to suddenly using the previous quarterback, in which the fans booed as he entered the game and still manage to come up with the WIN?! Well– I guess there may be a lesson to be learned by all. The success screams true teamwork and the desire to win. 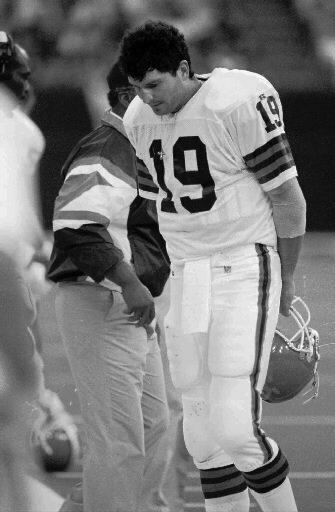 The Browns had to go with the flow, win the crowd back and in the end everybody including the fans did their part. The offensive line held off the defense, the quarterback released the ball faster, the running backs blocked and ran for yardage, the receivers caught the ball, the defense stopped the run, broke up the passing game, made the seal the win interception, not to mention the speedy special team kick returner’s run back of punt for a much-needed touchdown. They made a choice to play as one team and with that win, succeeded in showing the nation what real teamwork should look like. It was only three weeks ago the Browns were being accused of tanking on the season for the number one pick in the 2014 draft. Instead they dug in and became the surprise of the NFL. So explain to me why those employees we elected can’t dig deep and do the job they were hired to do? This is not rocket science. Shoot it’s not even finger painting. What it is, is a small group of people sent to a small district to collect and spend our dollars in a big way while telling us it is for our own good. Would you want any of these guys balancing your checkbook and paying your bills? Ummm I’m thinking a big fat no. If you do– I’ m sorry they are on furlough but they’ll get back to you. When my dad wrote his poem almost 50 years ago he might have had hope that something would change. It’s politics! A man-made device that over looks the spirit and beliefs of all the American people. Whatever your beliefs are–We are smarter together and know that real leaders do more listening than talking. They plan, they guide, they teach and they defend their people. What are they doing in Washington? Does your Representative pass the test? The challenge is a small group shutdown the government because they can’t work as a team. Yet they can assess blame, use fear, and threats to make us be at odds with each other like them. Which this may sound blasphemous but do they want us to be like them in their image? We are so much smarter than this! As a team we have a choice. Do nothing, or terminate their employment. It is that simple. God created all is my belief, I also believe you get what you pay for. I am fed up and tired of throwing my money out the window when nobody is working and congress is still getting paid. Those guys should have forgone their pay and tee times first! Here in the middle we cut the luxuries to get back on track and have been doing so, long before my dad wrote a poem. What stinks is when this is all over they will come to us in the middle and tell us to pay for the mess they made. Again we have a choice. UPDATE: My Dad’s poems have been located and I have copies!!! Look for another post soon!